Nevada rancher Cliven Bundy, his sons and supporters have confounded federal authorities once again. On Wednesday morning, a federal judge declared a mistrial after just five weeks of what was expected to be a four-month trial of Bundy, sons Ammon and Ryan, and Montana militiaman Ryan Payne. U.S. District Court of Nevada Judge Gloria Navarro said in court she had no option but to declare a mistrial because prosecutors withheld evidence and missed deadlines to provide information that could have helped the defense. For the prosecutors and the Bureau of Land Management, the mistrial is an unprecedented failure to enforce federal authority on public lands. Ammon Bundy, right, and Carol Bundy, his mom and wife of Nevada rancher Cliven Bundy, speak with reporters outside of a federal courthouse in Las Vegas after Chief U.S. District Judge Gloria Navarro declared a mistrial Dec. 20 in the case against Cliven Bundy, his sons Ryan and Ammon Bundy and self-styled Montana militia leader Ryan Payne. In 2014, the Bundys faced off with the BLM and National Park Service near Bunkerville, Nevada, over the family’s illegally grazing cattle. Last year, the Bundy sons and several supporters were acquitted for their 2016 occupation of Oregon’s Malheur National Wildlife Refuge. The failure to convict them of any charges raises serious questions about the government’s ability to enforce court orders or manage resources in accordance with federal environmental laws. “You can’t just let (the Bundys) go on, because if you do, you might as well close the BLM,” says Mike Ford, a former BLM employee of 25 years who once served as deputy state director in Nevada. Bundy and his co-defendants faced 16 charges, including conspiracy against the United States and threatening and assaulting federal officers. 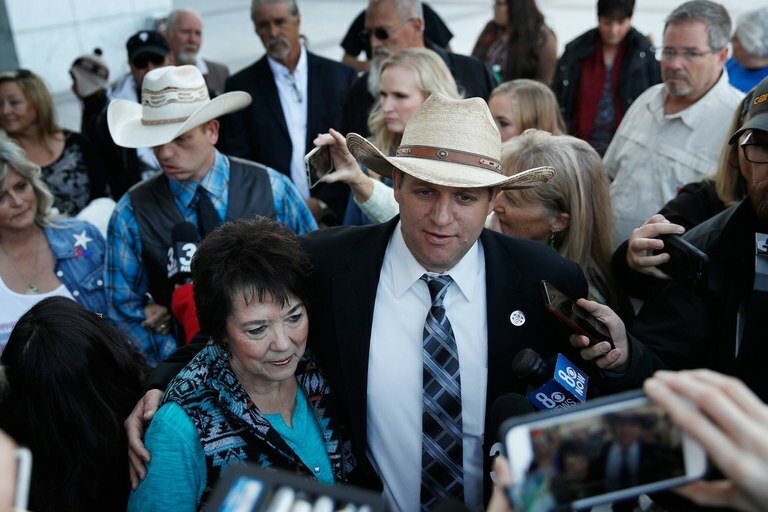 In opening statements in mid-November, Acting U.S. Attorney Steven Myhre described the standoff as a terrifying assault by hundreds of Bundy supporters, including militia members, on federal employees and contractors gathering cattle illegally grazing on federal land. Defense attorneys said the events were part of a 20-year peaceful protest by Cliven Bundy against federal overreach that put dozens of Clark County ranchers out of business. No shots were fired at the standoff, which the Bundys say is proof of their peaceful intentions. Since the start of trial, defense attorneys have been on the offense, filing a flood of motions to dismiss the case. They argued prosecutors failed to provide evidence, such as information about an FBI surveillance camera on public land near the Bundys’ protest site and residence and other details on the federal law enforcement officers’ tactics that could have helped the defense. Navarro concurred in her declaration of mistrial. The judge will rule on whether the mistrial will be with or without prejudice, on Jan. 8, 2018. A mistrial with prejudice would be a similar result to a dismissal. If Navarro rules a mistrial without prejudice, prosecutors may decide to try the case again. The U.S. Attorney’s Office declined to comment on what steps they plan to take next in the case. Tay Wiles is an associate editor of High Country News.